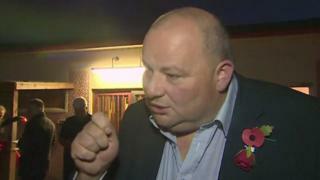 The Labour leader of Flintshire council has sacked his deputy alleging a "breach of confidence". Aaron Shotton said there had been "an erosion, and now a loss, of trust" in his number two Bernie Attridge. Mr Attridge, who represents the Connah's Quay Central ward, was also the cabinet member for housing. He said he was "shocked and saddened" at being dismissed, which he said was "entirely the decision of Aaron Shotton", and he was "seeking advice". In a statement, Aaron Shotton, the Labour leader of Flintshire Council said: "Over the years there have been a number of breaches of confidence by the councillor. "I have shown councillor Attridge my loyalty over those years and have given him support, and access to advice and the support of others, in an attempt to prevent a recurrence." Mr Shotton said: "Unfortunately, there has been a recent and significant further breach of confidence. The cumulative effect of the councillor's actions has been an erosion, and now a loss, of trust and confidence." He added: "Regrettably, I have been placed in a position of having no option but to take this decisive action to protect the council." Flintshire council would give no further comment other than to confirm the dismissal. Asked to comment on Thursday, Mr Attridge told BBC Wales he was "seeking advice and will respond in due course". But reacting to his dismissal on Wednesday, Mr Attridge said he was "shocked and saddened" at being dismissed, which he said was "entirely the decision of Aaron Shotton".